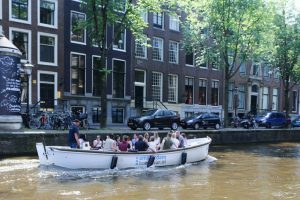 Are you traveling with a group and is a canal cruise one of you planned activities? 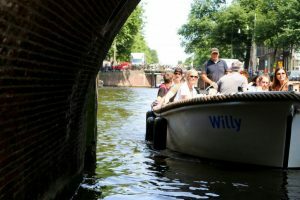 We can offer you a private canal cruise in both covered and open boats. The private canal cruises can be booked at an hourly rate with a minimum of 2 hours. 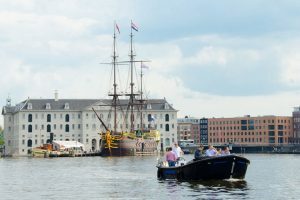 We can offer a tailor made canal cruise based on your wishes. Our Luxury open boat ‘Max’ is a former lifeboat of more than 10 meters long that can accommodate a maximum of 45 people. 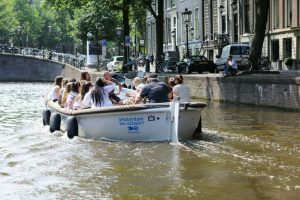 Thanks to the roof, this boat can even be used with rain, or for people looking for some shadow during a cruise on the Amsterdam canals on a sunny day. Please contact us to discuss the possibilities. We’ll be glad to help you find the best fitting package for your needs. 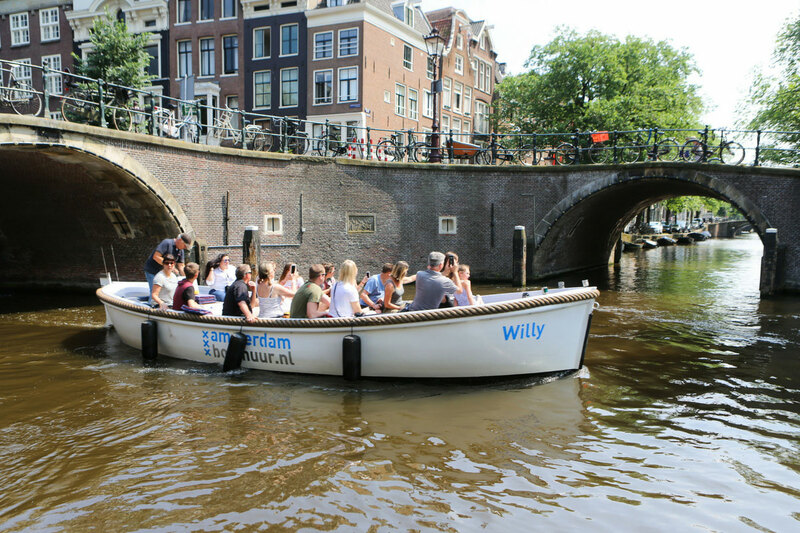 Our first open boat ‘Willy’ is named after King Willem Alexander. 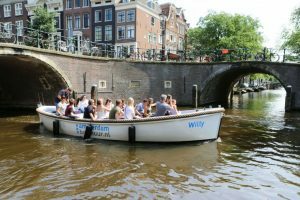 Open boat Willy is a former lifeboat of more than 9 meters long that can accommodate a maximum of 32 people. 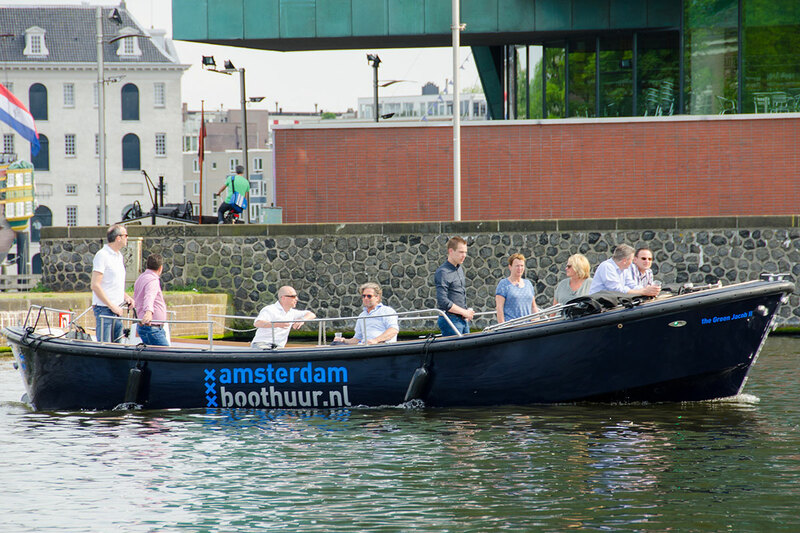 If you are looking for an additional activity for your group event in Amsterdam, boat drinks is the way to go! 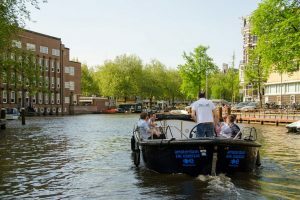 This deal is perfect for you if you want to enjoy the canals a bit longer with a nice variety of assorted bites. Enjoying our luxurious lunch on the canals of Amsterdam in a beautiful decor is something very special. 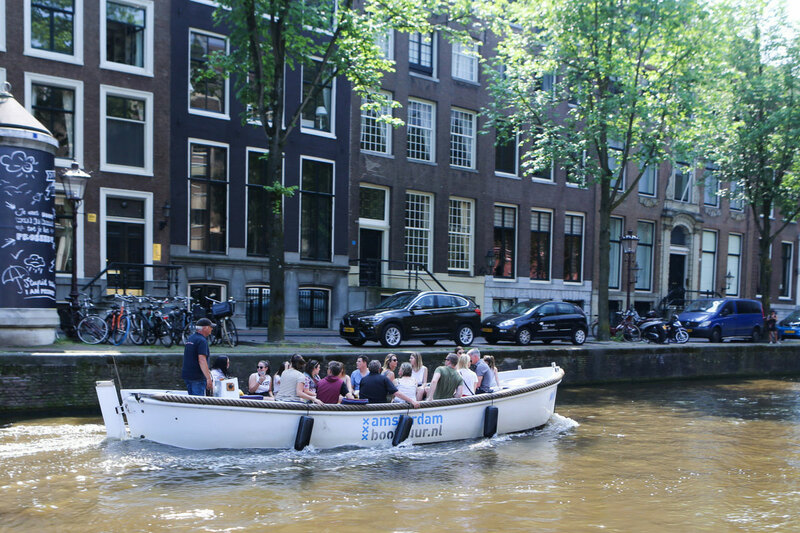 If you are looking for a way to finish your day in Amsterdam, we have just the thing for you! Our dinner cruise will be an experience you will never forget. Take a look at our catering page for more options, or contact us to discuss your wishes. We’ll be happy to help you. 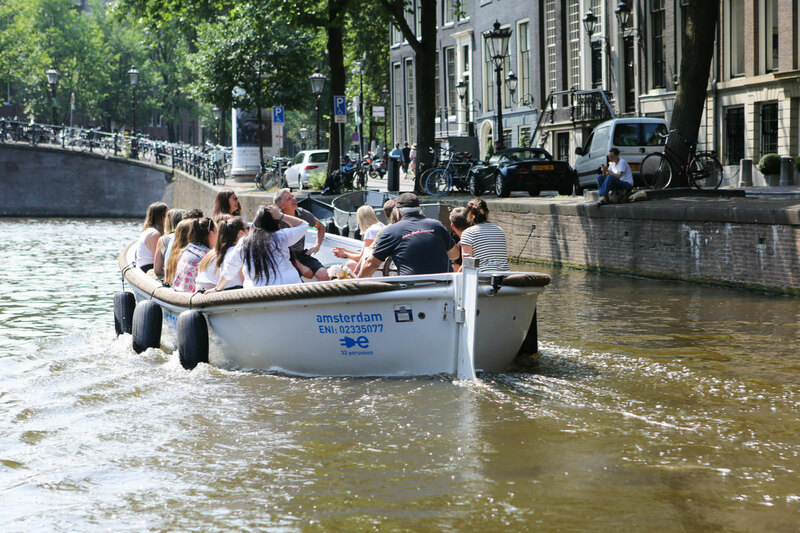 With a minimum duration of 2 hours, the private canal cruise can be arranged in any way you like. Would you like to see the architectural highlights? Or a pick up at the Rijks museum and a drop off at your hotel? Anything is possible. Furthermore, the possibilities for food and beverage are endless. 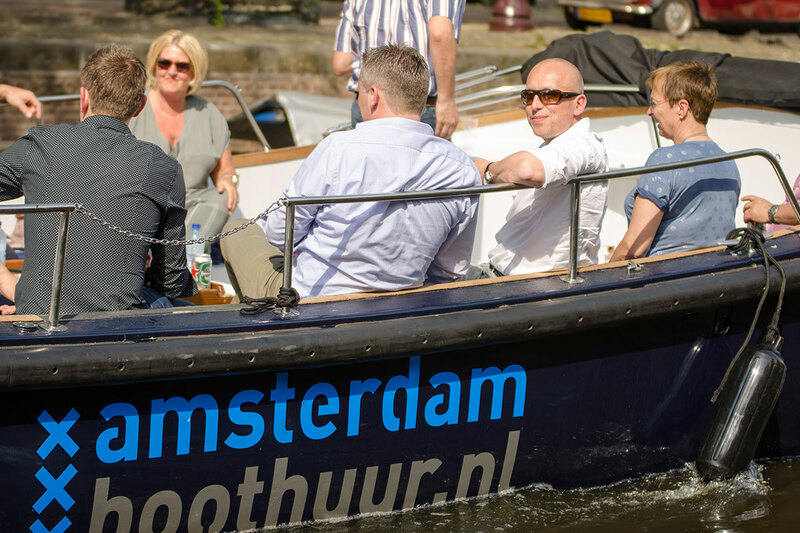 We work together closely with a diverse selection of restaurants and catering partners to offer you a unique experience during of after your canal cruise. For a private tour You can choose to book a luxury covered boat with a capacity of 40 persons. This boat is excellent in every type of weather and also easily accessible for people less mobile. Our open sloops have a similar capacity and are also very cosy for smaller groups due to the lay-out. 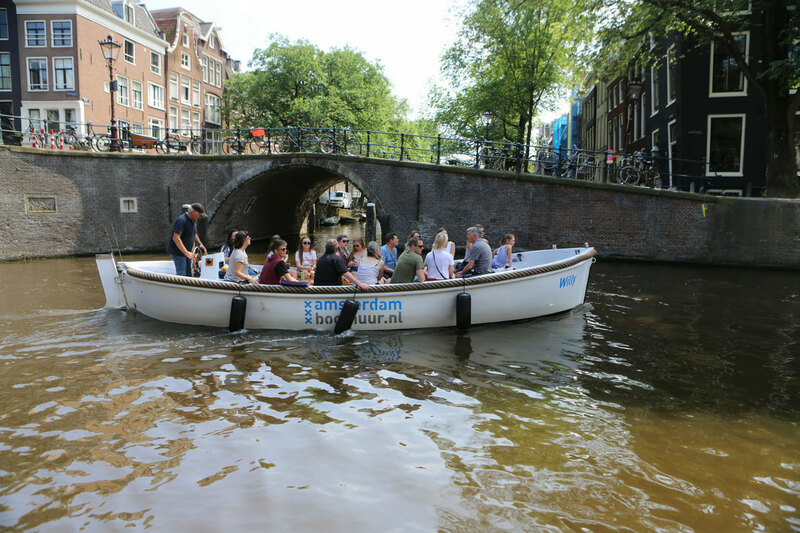 Because of it’s size, the open boat can take canals less travelled and the view is perfect because of the absence of a roof and windows. 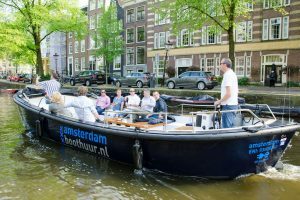 Do you want to combine your luxuary canal cruise with drinks and snacks or dinner, please take a look at our catering possibilities. If you want to bring your own drinks or food, no problem! We’ll arrange a free coolbox with ice for you. Amsterdam Boattour offers organized and private tours, on both traditional and open canal boats. 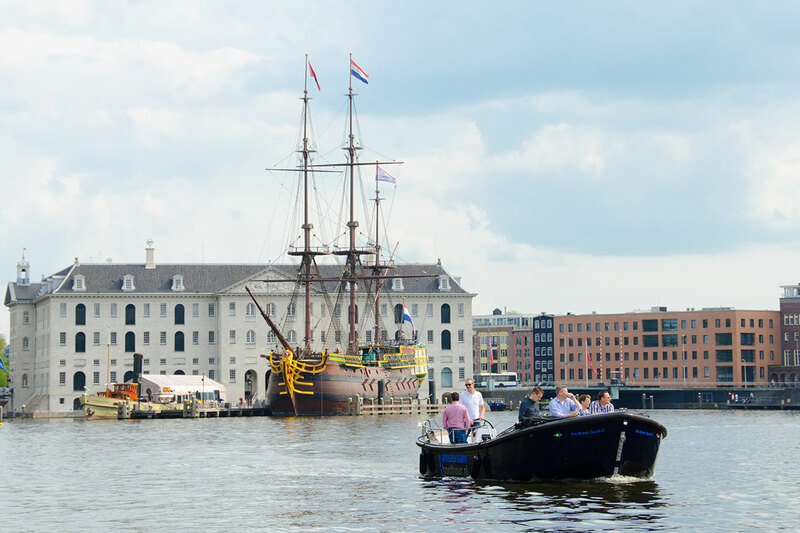 It's our mission to offer you the best canal cruise, tailored on your wishes. 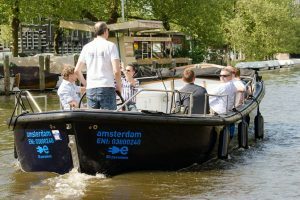 You can book our canal cruises online or contact us by mail or phone.